The featured painting for February 2016 is entitled “Self-Portrait 02″. The whereabouts of this painting are unknown. The featured painting for January 2016 is entitled “Male Portrait 04″. 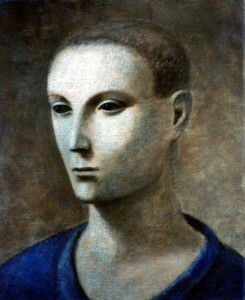 The whereabouts and dimensions of this painting are unknown. 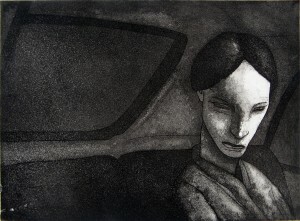 The featured painting for December 2015 is entitled “Back Seat”. Six prints of this etching were produced with two known prints residing in Paris and New York City. 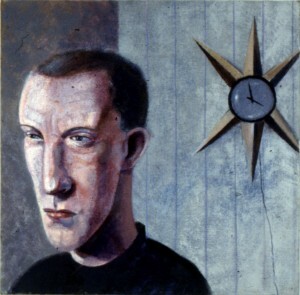 The featured painting for October 2015 is entitled “Self-Portrait 03″. 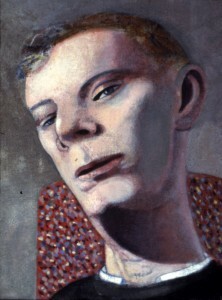 This painting can be found in a private collection in Spain. 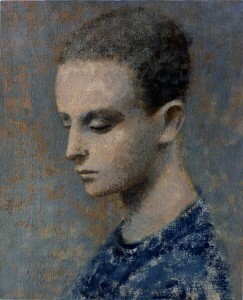 The featured painting for September 2015 is entitled “Male Portrait 05″. 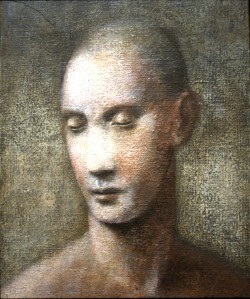 This painting is part of the Nicholas Treadwell collection in Austria. 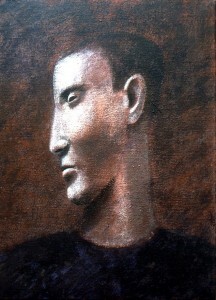 The featured painting for August 2015 is entitled “Male Portrait 01″. 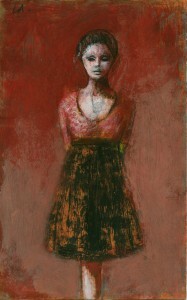 This painting resides in the UK with the original owner who purchased it in 1984. 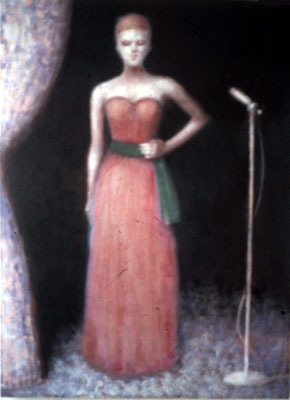 The featured painting for July 2015 is entitled “Girl Standing”. This drawing resides in Paris. 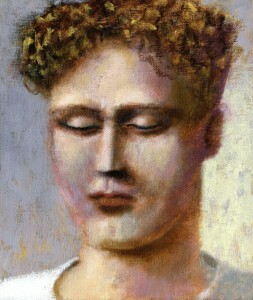 The featured painting for June 2015 is entitled “Male Portrait 02″. The dimensions and whereabouts of this painting are unknown. 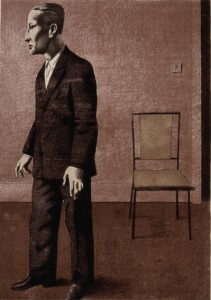 The featured painting for May 2015 is a lithograph entitled “Figure and Chair”. Six signed copies of the litho plus the AP were printed.